Muskoka Chautauqua offers daily, hands-on workshops with professional artists for kids & adults at Clevelands House resort and The ‘New’ Baldwins Resort on the shores of Lake Rosseau. This summer, Muskoka Chautauqua is offering Artists in Residence programs at two local resorts, Clevelands House in Minett and The ‘New’ Baldwins Resort in Windermere. Art Workshops run daily, Monday to Friday, from 1:00 pm–3:00 pm. They are free for resort guests, and $25 for the general public. Weekly Art Parties take place on Wednesday evenings from 5:00 pm–7:00 pm. Tickets are $35 and can be purchased via Eventbrite. Brittany Johnston is a 21-year-old artist and graphic designer from Hillsdale Ontario. Growing up in a family wedding and event design firm called Eventdecorator.com she has always had a close connection with the arts and creativity. At a young age, she was taught by well known Canadian Landscape artist A.W. Bruce Sherman of the Paint Box Gallery, in the art of oil painting. However, over the years she found herself focussing more on watercolour and drawing. Brittany began her education in the fine arts program at Georgian College. After 1 year of study, she decided to switch into the graphic design program in order to mix her passion for the arts with business and explore a new style of design. Brittany plans to graduate in 2019. Brittany believes that each and every person is creative. By beginning her workshops with a lesson in techniques and demonstrations allows participants to feel comfortable with the tools they will be using. During her lessons she will offer different leveled artists different teaching methods that will best suit each individual, these include; Stencil painting, follow along, and freehand. Don’t miss out on Brittany’s Art Party where you have the chance to get involved in a workshop on trading card design! Great for a cottage activity for all ages! Christine Hume took art courses during University and has a diploma in Commercial Art & Advertising from Algonquin College. After more than 30 years in a marketing and advertising career, she is now enjoying doing mosaic art and exploring what else “life after work” has to offer. Christine’s creative journey with glass started in the 1980’s – taking a stained-glass course with her Mom. A small glass mandala created by her Mom is a reminder of this medium that comes to life when the light shines through! In 2013 in Montreal, Christine stumbled upon Mosaikashop at the Italian Festival. 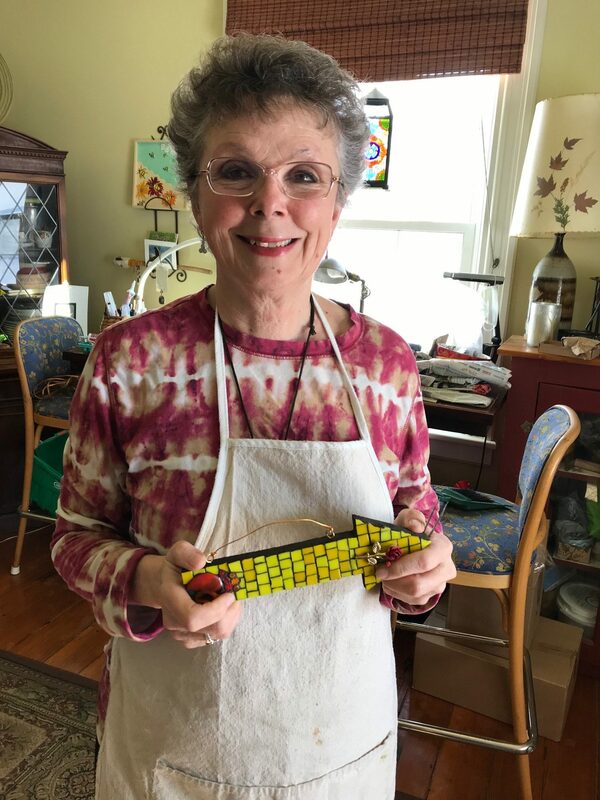 She has since taken several mosaic courses in Montreal, Brockville, Almonte and has travelled to Ravenna, Italy to take a workshop in the traditional mosaic method. In particular she loves to create grouted glass on glass mosaics, and also creates tile mosaics, mosaics on stone and mosaic ornaments. Her studio is in Almonte, Ontario. Based on the Camino Arrows in northern Spain, Christine’s 2-hour workshop introduces participants to some basic mosaic art techniques. 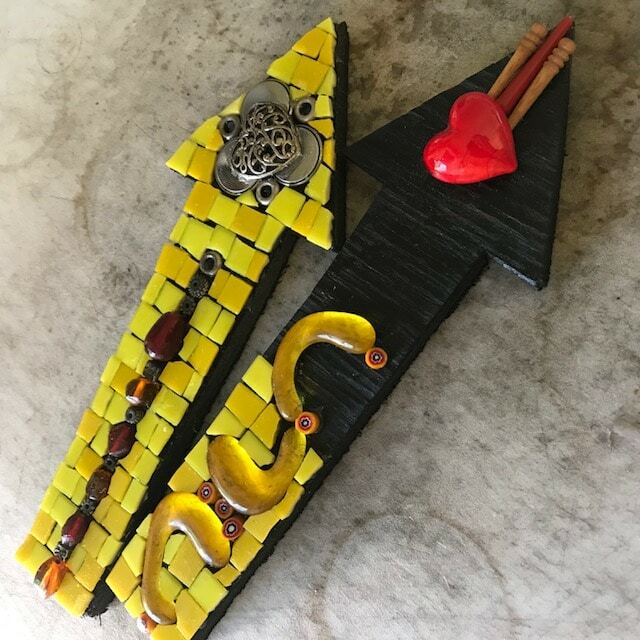 Participants will create their own yellow mosaic arrow on a prepared base using vitreous glass tiles (pre-cut) and selected elements from found mosaic materials (e.g. vintage jewellery; keys; buttons; beads; coins and many other bits and pieces). Participants are welcome to bring their own yellow bits and pieces to add to their mosaic arrow. Greg and Susan Hindle are back for their 12th year as artists in residence. They are visual artists and graduates of the Ontario College of Art. Greg & Susan met during a year of off-campus study in Florence, Italy in 1976-77, which included drawing classes at the Accademia di Belle Arti and Renaissance art history at the British Institute of Florence. Greg has taught drawing and painting extensively, including over 25 years at OCAD. Together, they have led community mural projects and plein air workshops in Tuscany, the French River region of Ontario, and New York’s Hudson River Valley, and also with Muskoka Chautauqua for over 10 years! Join Greg and Susan Hindle in capturing the beauty of the Muskoka landscape around the grounds of Cleveland’s House. Connect with nature as you interpret the landscape using materials provided. 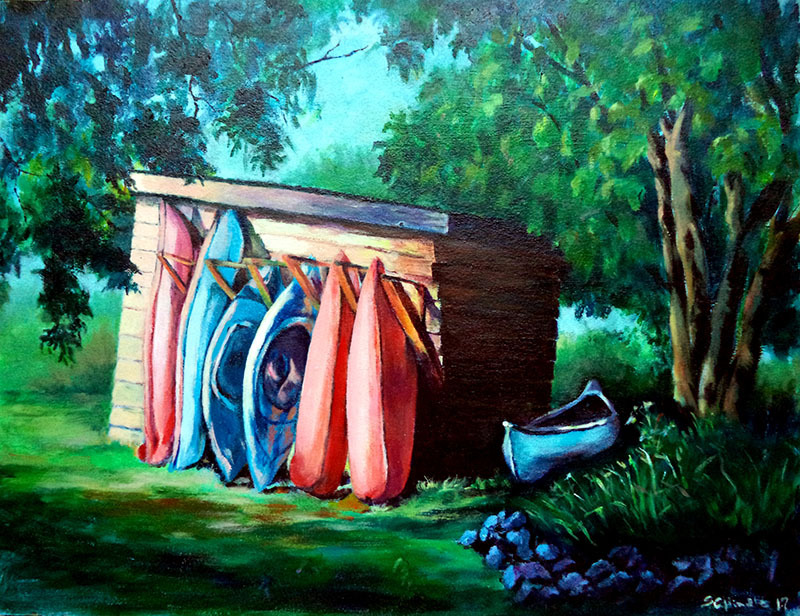 With individual guidance, beginning painters will be taken through a step-by-step process to create their own acrylic painting and more experienced painters may learn techniques to improve their painting skills in the outdoors. 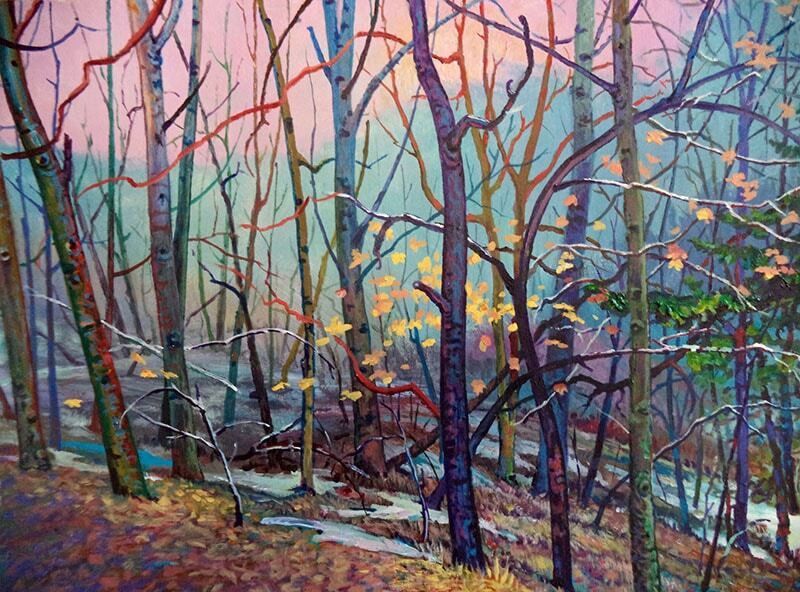 Sean-William Dawson was born in 1974 in the beautiful large and robust country of Canada. He lives and works between Beeton and Barrie, Ontario, and through his artwork has extensively spread his prowess far and wide across this great land. Recently winning an Ontario Arts Council grant for Emerging Artists, Sean has successfully made art a living by teaching, curating and producing art in his own community and abroad. 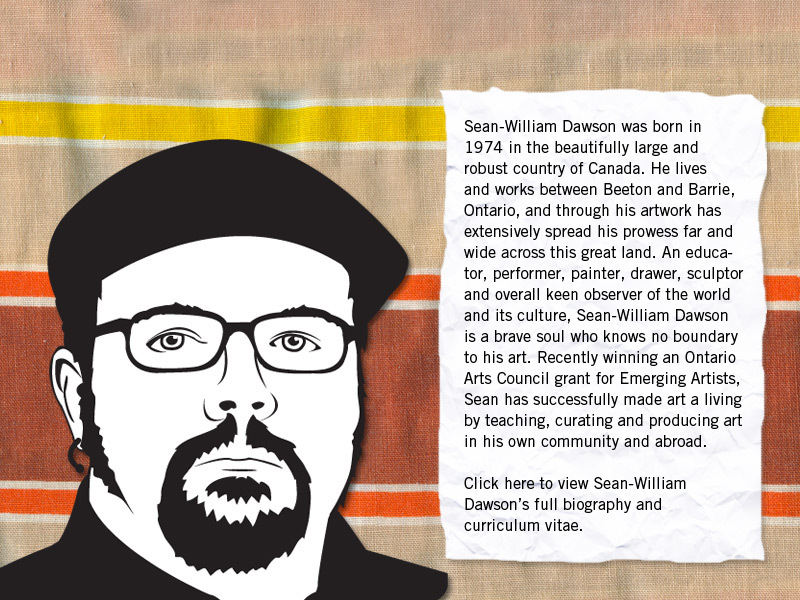 An educator, performer, painter, drawer, sculptor and overall keen observer of the world and its culture Sean-William Dawson is a brave soul who knows no boundary to his art. Sean has a traveling printing press and is returning for a fith summer. Mosaic artist from Austin, Texas. 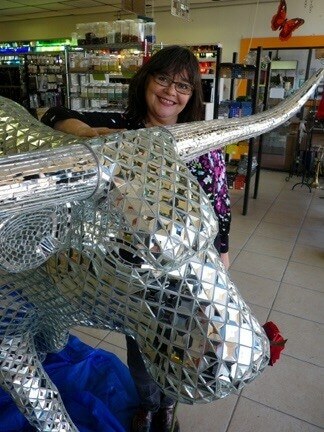 Diane creates fine art, installations, commissions, garden art, and large-scale designs. 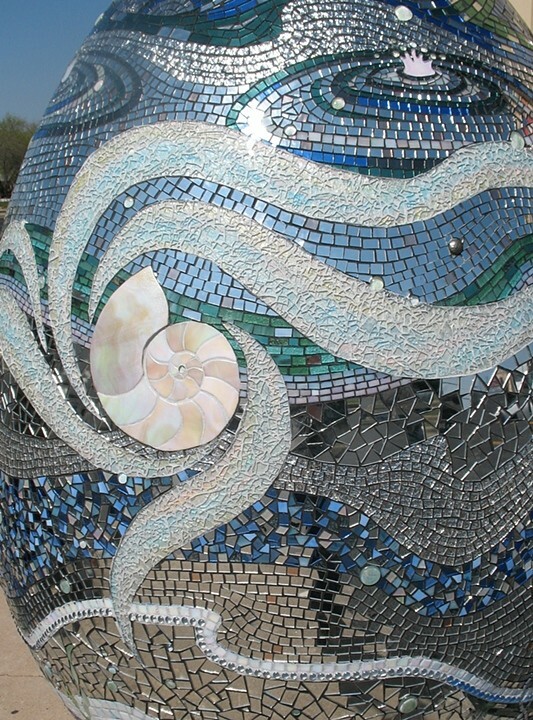 She is passionate about creating beauty through the art of mosaics. Jennifer Murphy has successfully shown work in Brazil, Canada, and the US; recently she placed first in the Lloyd Gibson Juried Exhibition at the Lawrence House Centre for the Arts, Sarnia, Ontario. 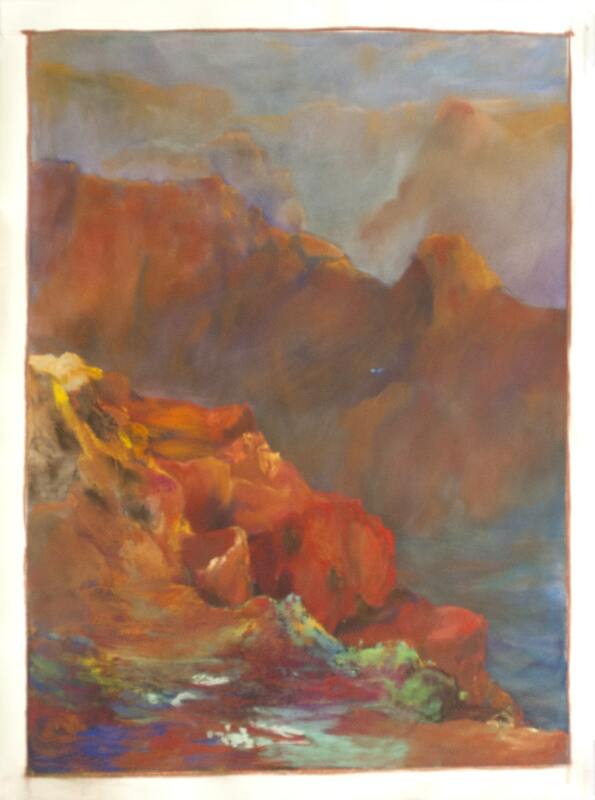 Her landscapes are based on observation and memory, with a focus on mountains, water, and sky. She acknowledges the well-known Canadian musician, artist, poet, and author, Kenneth G. Mills, as the source of her inspiration. His statement, “An artist is usually a handyman in the service of Inspiration” is the foundation of her practice. Under his guidance she always includes a bird in her work. Her training comes from six years of private study with artist and teacher, Greg Hindle. She has taken classes at The Art Students League, Toronto School of Art, and the Judith & Norman Alix Art Gallery. She has taught children and adults for over 20 years and is certified as a Professional Artist-Educator by The Royal Conservatory of Music in Toronto. 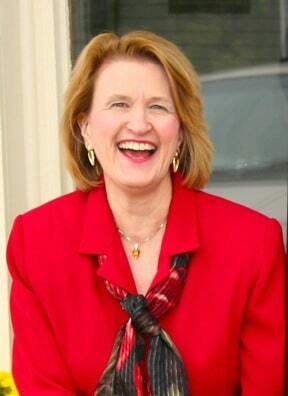 She also holds a Master of Business Administration from Pace University. Observation, color, design, discovery, expression, and play – these will be the focus of the workshops that artist in residence Jennifer Murphy will offer. Each day guests can choose to participate in a guided activity using paint or drawing media, or, for those who prefer to work independently, a variety of paint, drawing and collage materials will be provided. Each daily guided activity can be taken as a one-time experience. For guests who would like a more in-depth art experience, the activities will build progressively toward doing a ‘plein air’ painting at the end of the week. The activities are geared to children and adults. Families are encouraged to participate together; art making is a fun family activity! Jennifer will also offer lessons to those who wish them. Contact her to schedule a time. Please also speak to Jennifer if you are interested in seeing examples of her art. 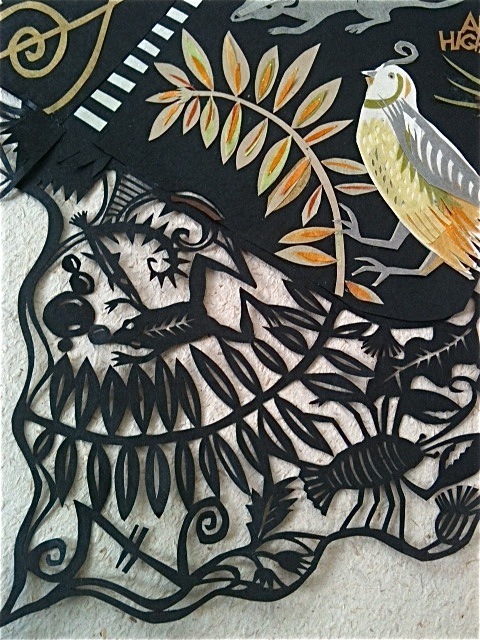 Sarah Locke is a 25-year-old artist originating from Oakville, Ontario. From an early age, Sarah quickly identified herself through the arts, having grown up with both parents in the art industry. She attended Sheridan College for visual arts and illustration but as her father had, Sarah decided to follow her creativity into the film industry, working as a scenic artist for film and television. 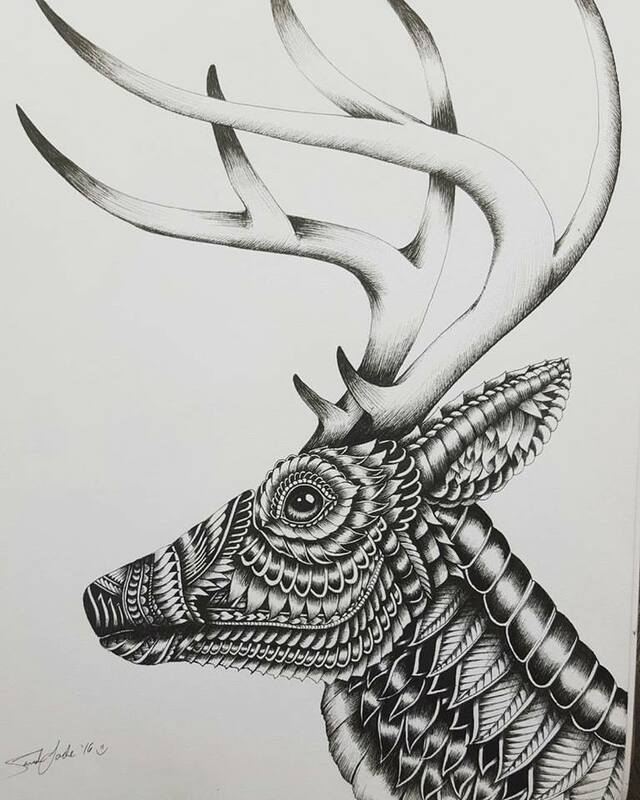 Sarah has always associated the intrigue and beauty of nature into her own drawings, specializing in animal drawings, incorporating realism and abstract patterns through ink and acrylic painting. Sarah has also developed a love for calligraphy and sign lettering, that she uses with her various pieces. She enjoys spending as much time as she can in nature, looking to see where it leads her next. 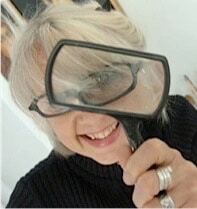 Barbara Klunder has many years of teaching drawing, from the AGO to all art schools in Toronto and private lessons. She has won numerous awards and prizes for illustration and graphics, as well as exhibiting her work in galleries and museums across Canada. Audrey Mah is a contemporary ceramist. She graduated from the University of Waterloo where she received her Bachelor of Fine Arts. She continued her studies in ceramic design at the Ontario College of Art where she received a scholarship. 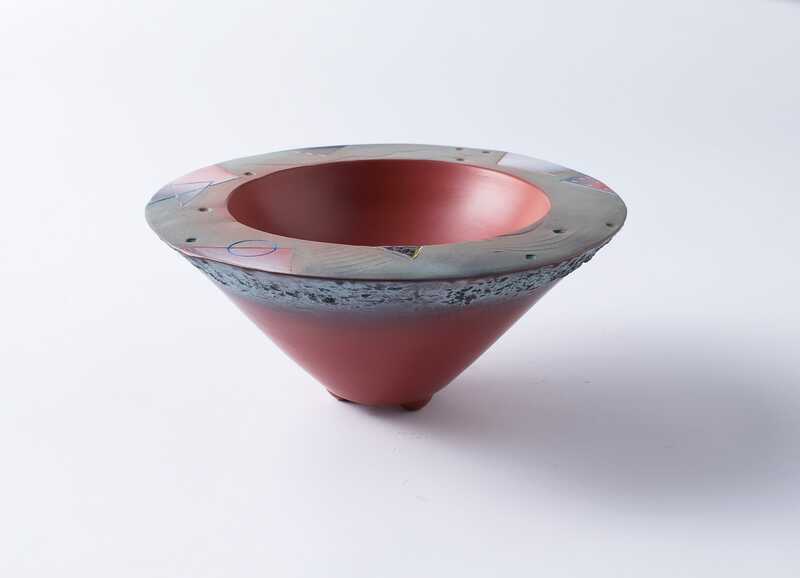 Her work has been sold in Canada, USA, and Mexico, and has been exhibited at the George Gardiner Museum of Ceramic Art. Audrey has received numerous awards from the Ontario Arts Council, and has taught the sculpture program at the Art Gallery of Ontario, as well as the children and adult pottery classes at the Royal Ontario Museum. Currently, she instructs and develops programs at the Gardiner Museum and workshops at various Toronto District schools. Audrey works regularly with children to create murals through VIBE Arts. She has also been teaching adult and children classes at the Avenue Road Arts School since 2005. Toronto City Opera is passionately committed to opera for everyone. We give young professionals a chance to perform principal roles with coaching in musicianship and stagecraft. We give our amateur choristers inspiration and skills, so that they too can perform in a fully staged opera. And for our community we provide affordable access to this grand synthesis of music, drama, dance, and design to raise up the human spirit of everyone it touches. 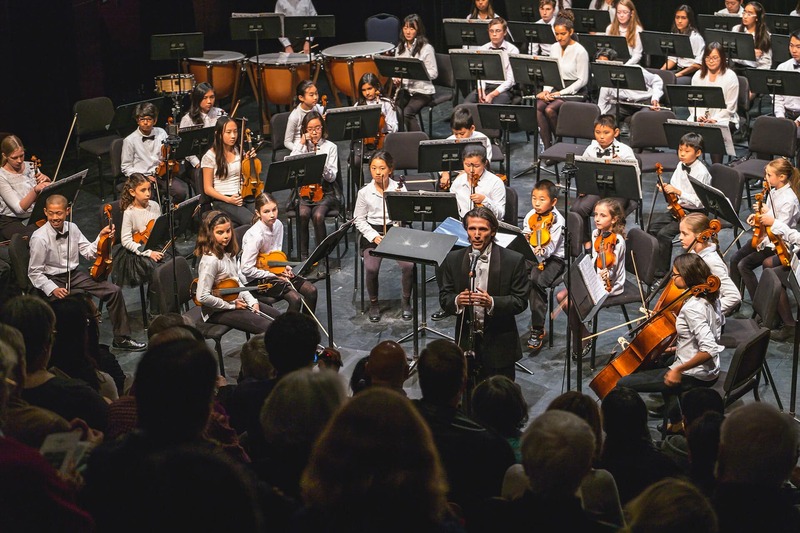 The Mississauga Symphony Youth Orchestra is an exciting division of the Mississauga Symphony Orchestra that offers music education and performance opportunities to young classical musicians in the G.T.A. Led by Music Director and Conductor, Maestro Denis Mastromonaco, the MSYO has quickly established itself as Mississauga’s foremost youth orchestra. The MSYO is divided into three ensembles: the Sinfonietta, an all-strings ensemble designed for musicians aged 8-11; the Philharmonic, an intermediate orchestra designed for musicians 12-17; and a full Symphony Orchestra designed for highly skilled young adults.